Laura makes all-natural lozenges using honey from bee farms in Northern Ontario. The brand is as friendly and approachable as Laura. 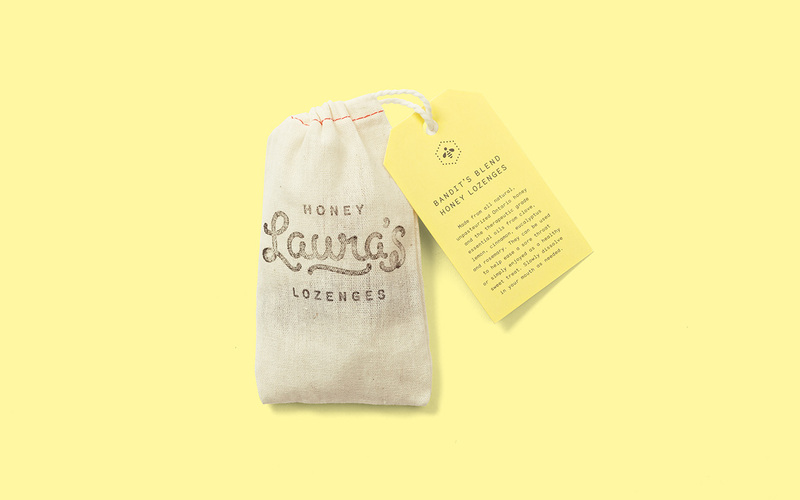 Looking for a cost effective way to package the lozenges, we sourced linen bags, and created easy to use stamps. The packaging is as authentic and genuine as the all-natural honey used to make the product. The lozenges are also pretty tasty.